Taller than a tree, a great team motivator and, of course… possesses an award winning smile. Now these might be the characteristics of every quarterback ever, but they’re not a million miles off describing one of our employees. Meet Will, our Business Development Manager. So Will, Business Development Manager. Sounds fancy! What does it actually entail? Basically, I help businesses evaluate Veeqo to see if we can help them with their operations. This entails going through requirements, personalised demonstrations and then discussing what an implementation looks like. What’s your favourite thing about Veeqo? For me personally, it’s the people and the office environment we have. It’s a great place to work and all departments interact with each other. And who do you think is the Funniest member of the team? Difficult one… I give the nod to Rhys – he makes me laugh at least once a day normally. Do you have a nickname(s)? Travelodge, more recently – I look like Alex the puppet they have on their TV ads (referred to as Giles in the video below). I was also referred to as Goose during my time at university… because geese are ace. I love the NFL! In fact, I’m pretty keen on all sports – but NFL is my favourite. I go to Wembley every year to watch it and it’s always been an incredible day out. So essentially my hobby is just reading NFL stuff all the time… is that a hobby?! I’d say it’s a hobby, Will! Do you have a Degree? What did you study, where and how was it? I feel like I should put my fiancée Leanne here in case she reads it. I’d be pretty gutted if the world ran out of red wine though. What about your biggest fear? Mr Blobby. What a creature. One thing people might not know about you? Italy, I love the food – and I don’t really know why I haven’t been yet. I’d love to travel through the country eating all of their food… and drinking all of their wine! Now you mentioned earlier that you’re an all-round sports geek. So who do you rate as the world’s best footballer? Messi, Ronaldo, KDB? 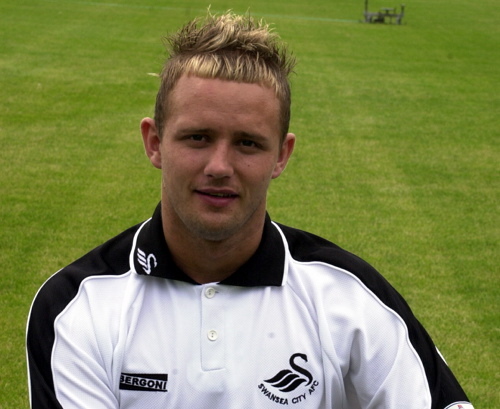 It’s got to be Lee Trundle. What an absolute legend. The 5 most important things in life? Well, best put Leanne here again…. I’d love to be an American Footballer, playing quarterback. And finally, whose brain would you liked to have had? I’ve got to go with Robin Williams… what a man! Enjoyed reading this? Why not also meet our Head of HR, Cerys Davies to see why she wishes she could be George RR Martin?